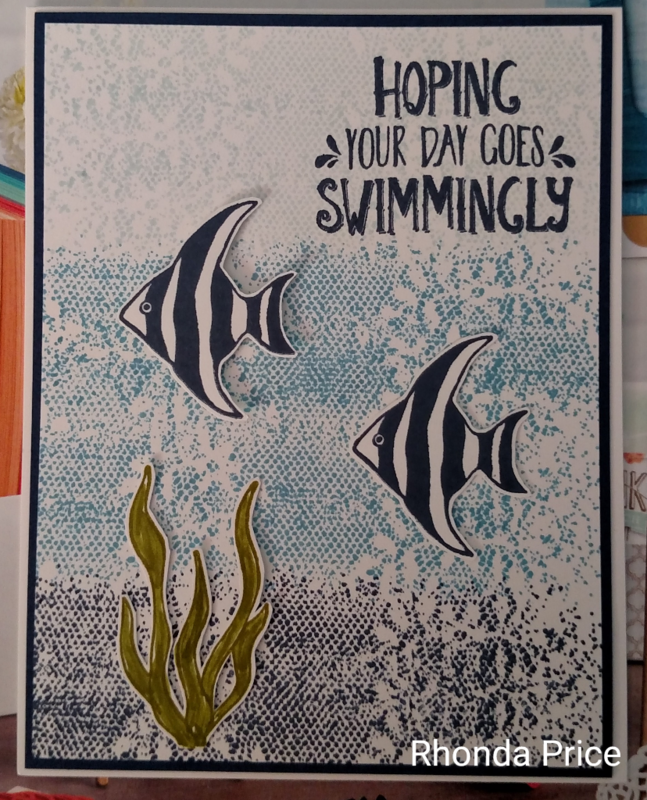 Paper Wishes and Stampin' Dreams: Swimming with the fishies. It has been so hot here in Eastern Kentucky lately, swimming would be nice. 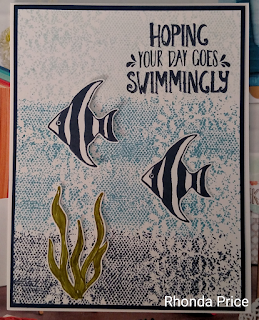 I had so much fun making this background with the new Touches of Texture stamp set. I love the floral lace on this one. I think the fish in the Seaside Shore stamp set are just so cute. Lots of ways to use these two stamp sets. Leave me a comment and let me know what you think.